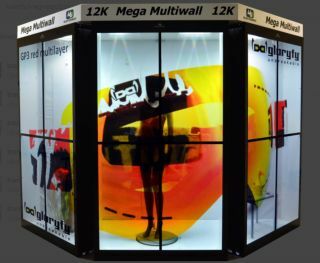 Userful and WG Electronics have partnered to deliver transparent video wall solutions. WG Electronic’s transparent displays show product information in the foreground while the product itself or anything else can be viewed through the transparent display in the background. With WG Electronics’ adoption of Userful as its video wall solution, customers are able to implement transparent video walls allowing them to cover larger areas like entire storefronts. The Userful Network Video Wall is the first video wall to deliver 4k and larger content over the network in real time from a Core i7 PC. “WG Electronics is very happy to join Userful as partners and offer a simple and unique solution to our customers”, said Franz Göschl and Stefan Wibmer, founders of WG-Electronics.